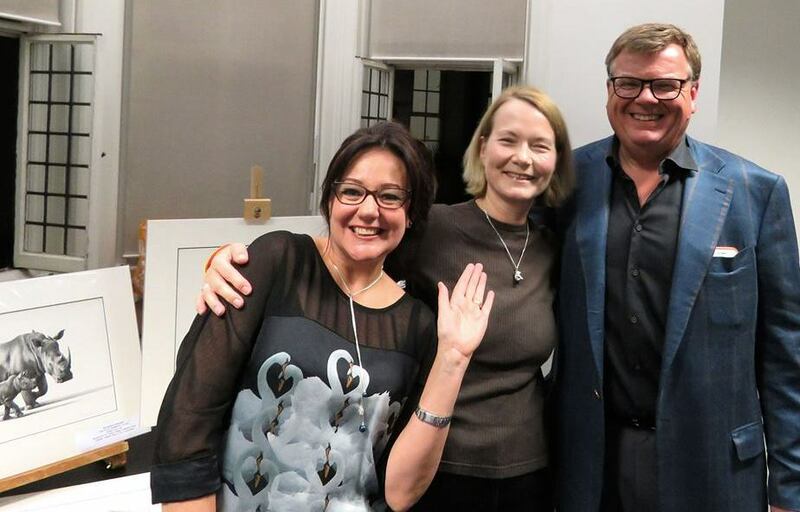 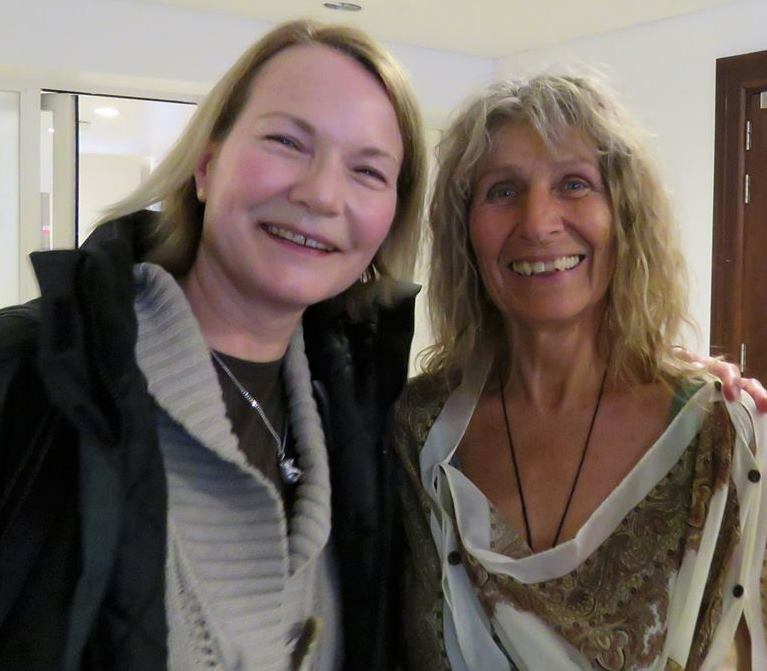 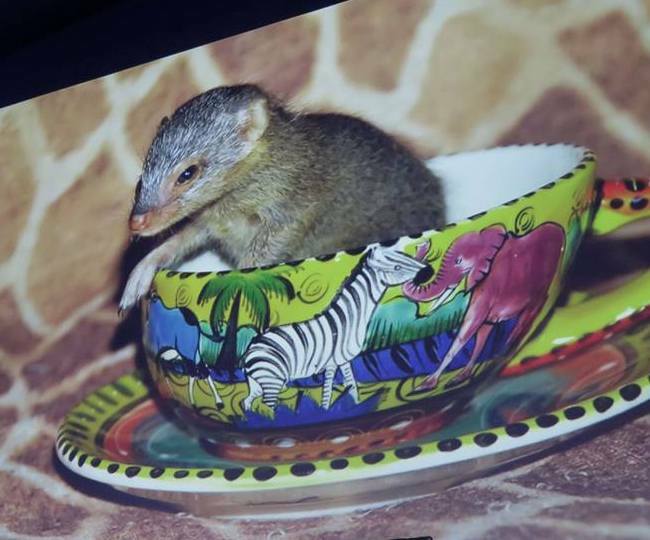 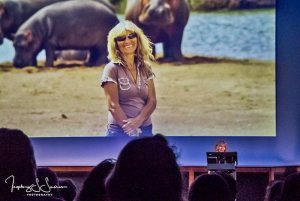 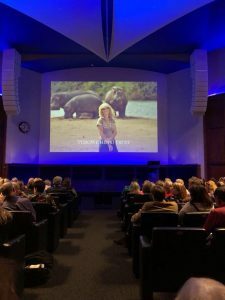 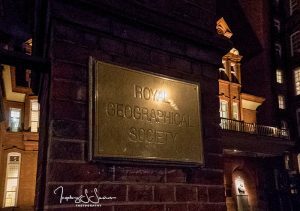 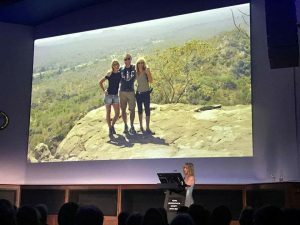 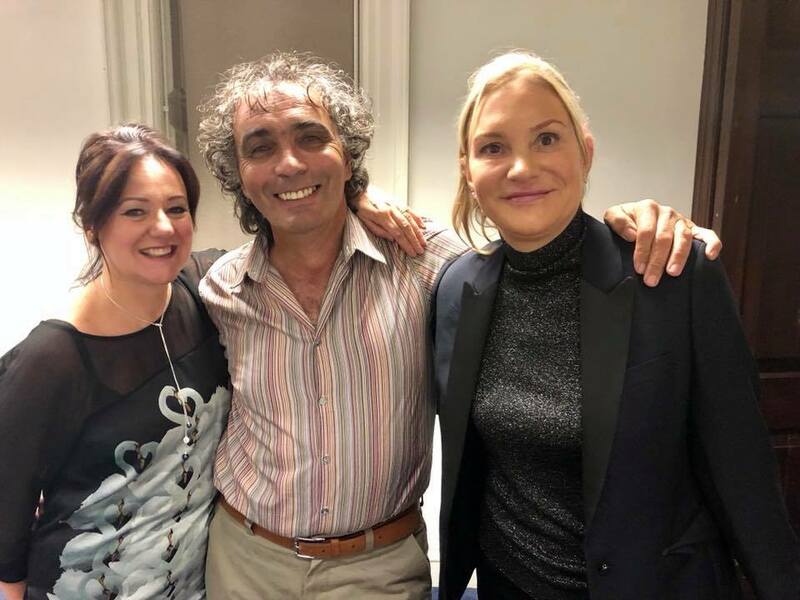 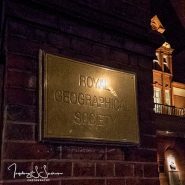 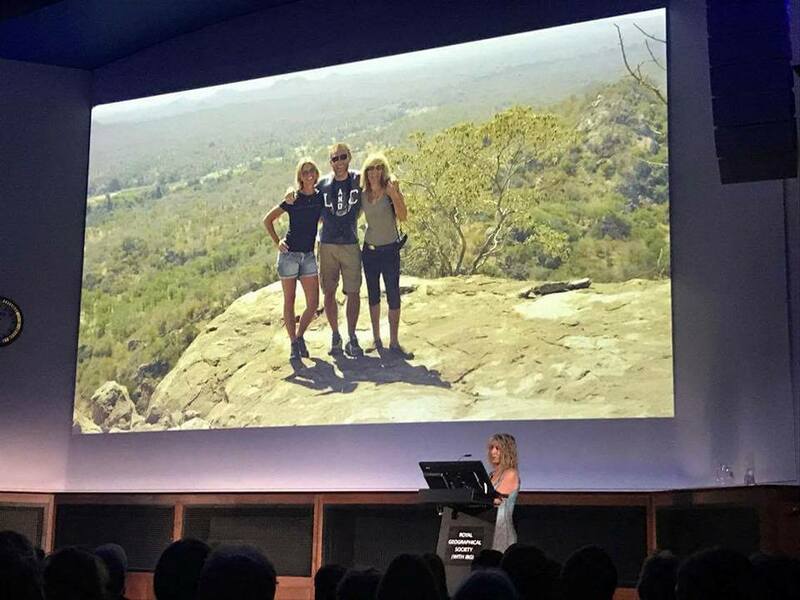 The presentation at the Ondaatje Theatre, Royal Geographic Society by Karen Paolillo was a wonderful success. 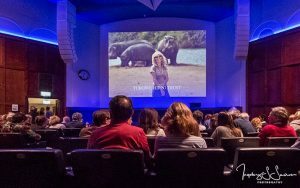 Everyone who attended appeared to be fully concentrated on the talk. 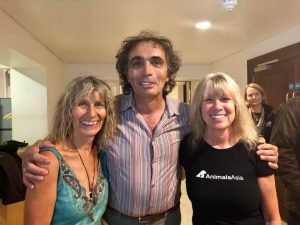 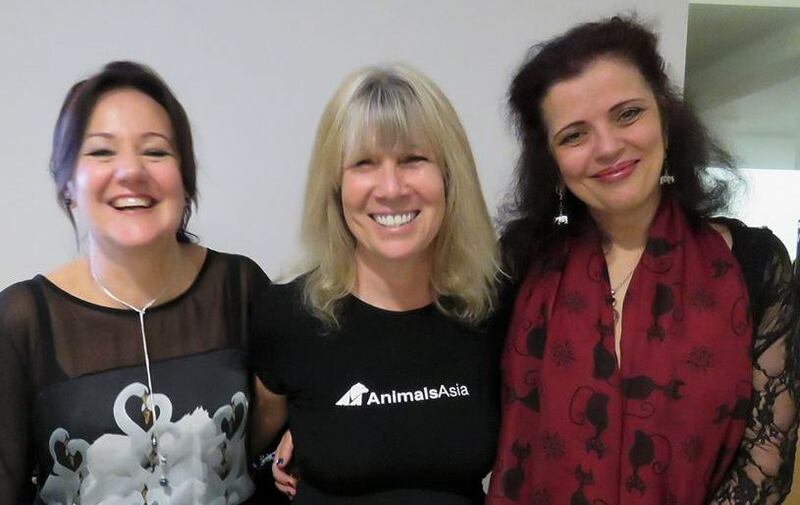 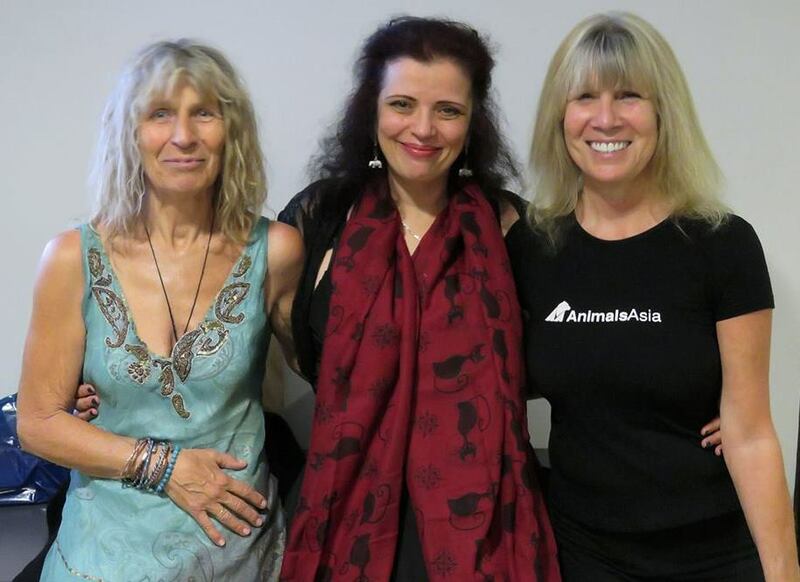 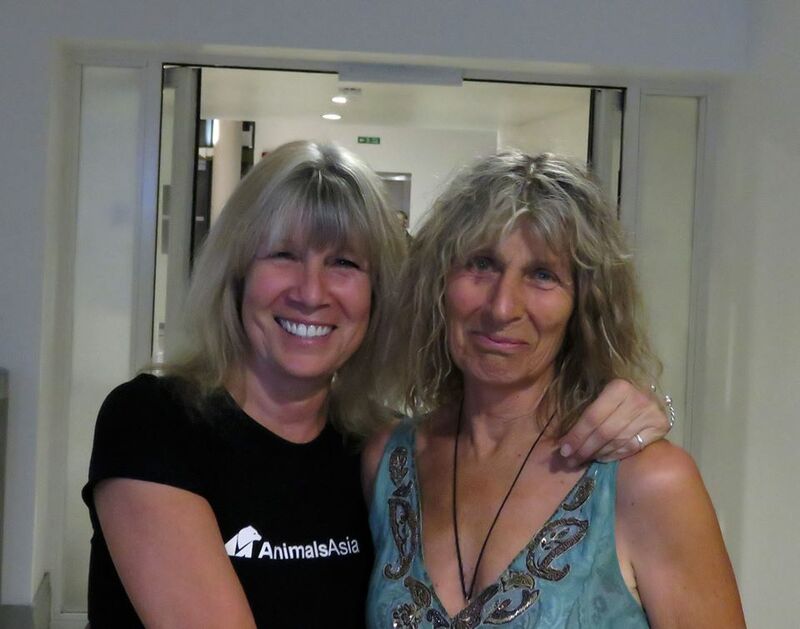 The amazing Jill Robinson, Founder of Animals Asia, of China and Vietnam introduced Karen. 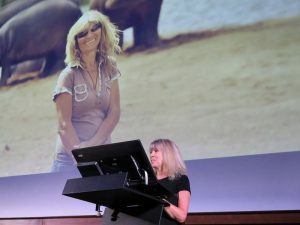 Karen’s presentation and images met high applause and all afterwards said it was such an inspiring talk. 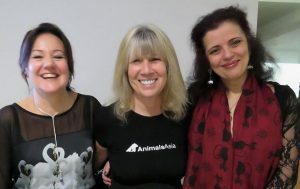 There will be a CD available at some stage for those who could not make it to the talk. 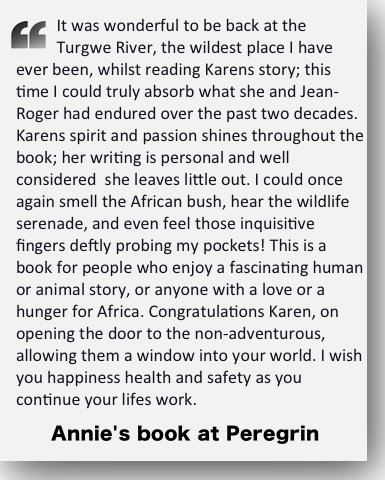 The wonderful Patrick Mavros surprised Karen. Asking her which female hippo and calf were her favourites. 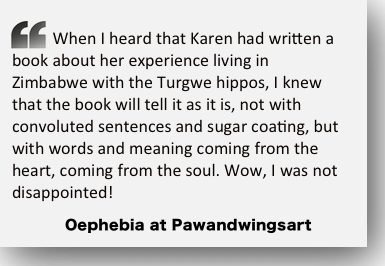 She eventually chose Tacha and her calf George. 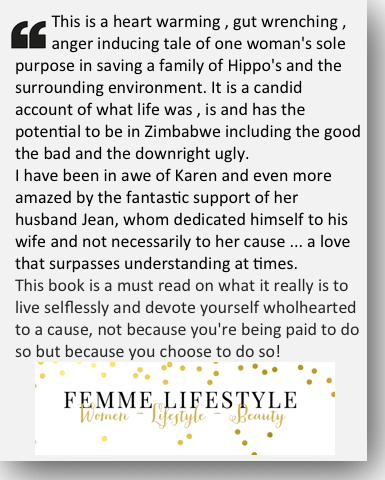 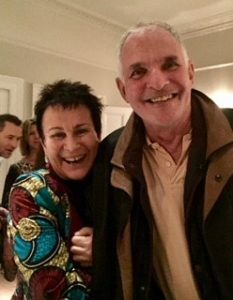 Patrick has kindly declared that he will make ten cufflinks for men and ten pendants for women, of Tacha and George and donate the whole proceeds to the Turgwe Hippo Trust. 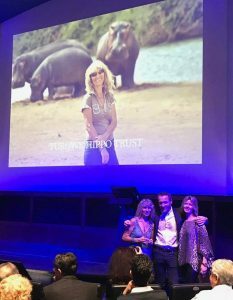 Patrick is one of the kindest people to the Turgwe Hippo Trust and his generosity at this extra gift is so appreciated, and we thank him with hippo hugs and love. 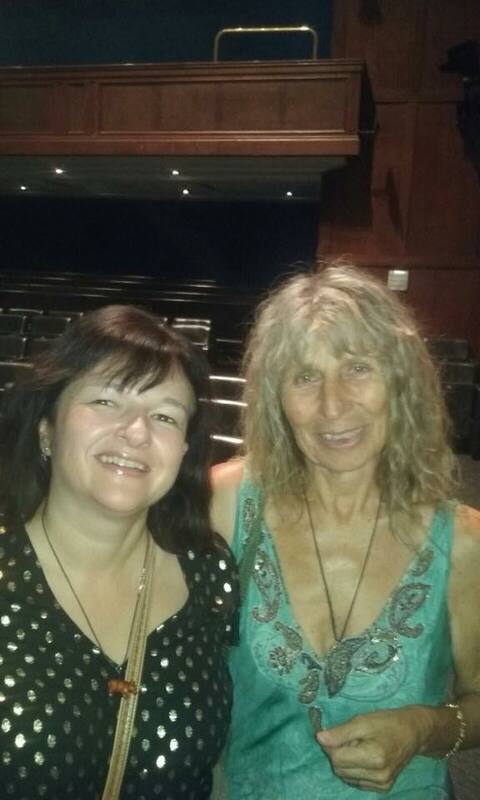 Oephebia Laidi, Dot Taylor and her company Seed in Zimbabwe, helpers Carol Smith, Rowena Spacey, Sarah Chilvers, Kay Roudaut all for that evening. 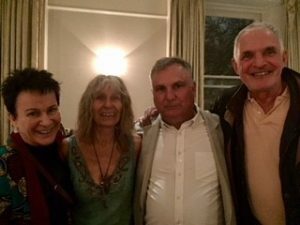 Michael Whittall for his organization afterwards. 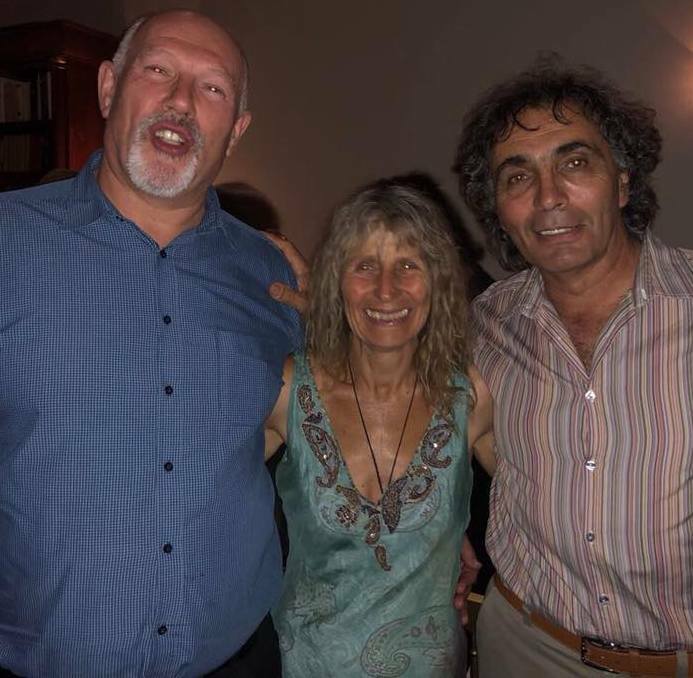 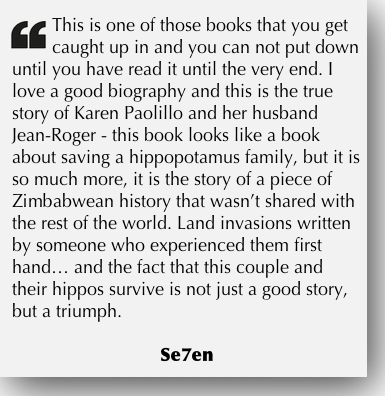 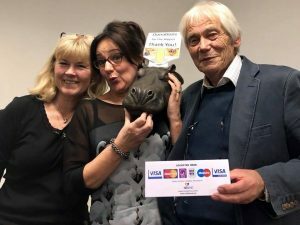 Veronica, Richard and James of the Royal Geographical Society and last but not least Jean-Roger Paolillo and Mirinda Thorpe holding everything together back at Turgwe Hippo Trust in Zimbabwe and looking after all the animals and the hippos. 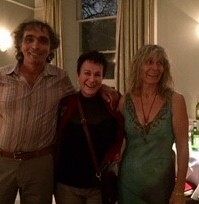 What a superb evening it was too. 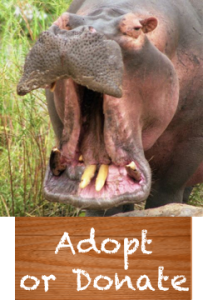 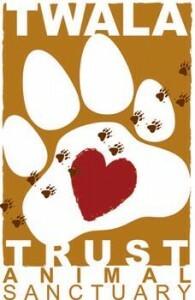 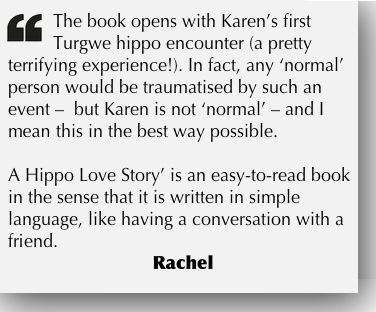 I’m proud to be a Turgwe Hippo Trust sponsor. 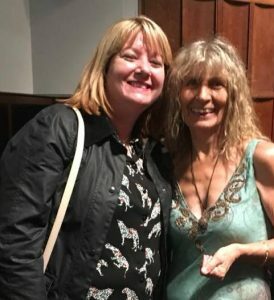 Congratulations on a successful event Karen! 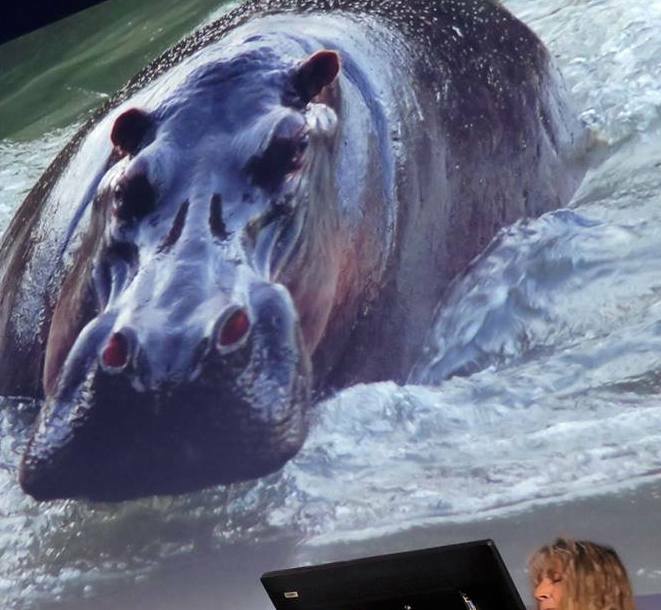 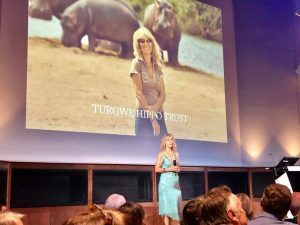 I’m sure your presentation has brought a lot more information and attention to the Turgwe Hippo Trust! Thanks for the pictures and report. 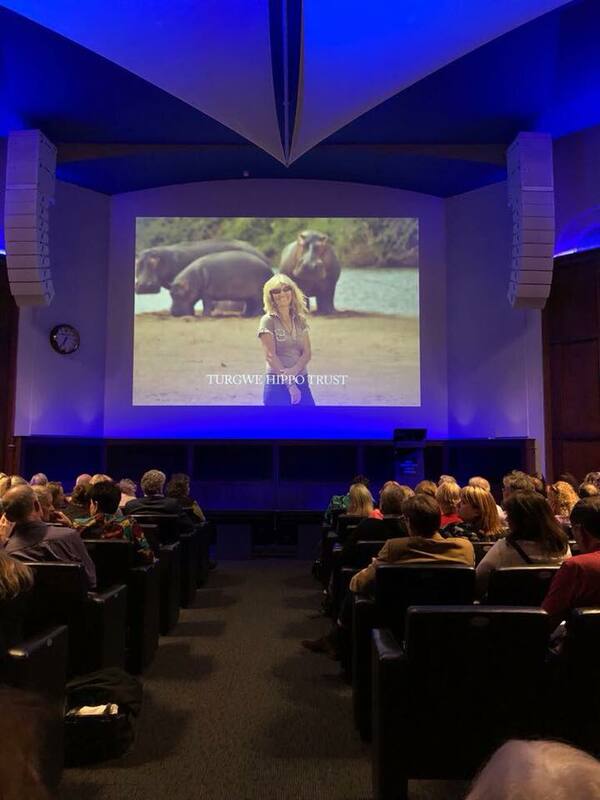 I was sorry to miss the event but never travel any more.